At McFadden Friendly Motors, we strive to provide you with the best quality vehicles for the lowest possible price, and this Wrangler is no exception. This vehicle has been quality inspected, serviced and is sold with warranty! So stop in, call or click today before this great value is gone!!! See our entire inventory at www.mcfaddenfriendly.com! At McFadden Friendly Motors, we strive to provide you with the best quality vehicles for the lowest possible price, and this Wrangler is no exception. This vehicle has been inspected, serviced and is ready for immediate delivery! Stop in, call or click today, before this vehicle is gone!!! See our entire inventory at www.mcfaddenfriendly.com! 4x4 Jeep Wrangler with 3 pc. Freedom Hard Top! This Sweet ride has all the bells and whistles with UConnect hands free phone, touch screen display, remote start, heated seats and steering wheel, power driver seat, command trac 4WD system. and lots more... call today to come in and experience the new Wrangler! At McFadden Friendly Motors, we strive to provide you with the best quality vehicles for the lowest possible price, and this Wrangler Unlimited is no exception. This vehicle has been inspected, serviced and is ready for immediate delivery! Stop in, call or click today, before this vehicle is gone!!! This vehicle has been quality inspected, serviced and is sold with warranty! So stop in, call or click today before this great value is gone!!! See our entire inventory at www.mcfaddenfriendly.com! Jeep Wrangler SAHARA 4x4 with Command-Trac 4WD system, trailer sway damping, hill start assist, Technology group with power heated mirrors, remote start, UConnect hands free phone and lots more! At McFadden Friendly Motors, we strive to provide you with the best quality vehicles for the lowest possible price, and this Wrangler Unlimited is no exception. This vehicle has been inspected, serviced and is ready for immediate delivery! Stop in, call or click today, before this vehicle is gone!!! This vehicle has been quality inspected, serviced and is sold with warranty! So stop in, call or click today before this great value is gone!!! See our entire inventory at www.mcfaddenfriendly.com! Are you looking for the most affordable way to take home the Jeep Wrangler? 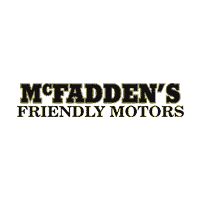 McFadden’s Friendly Motors in South Haven, MI has got you covered! Take advantage of our Jeep Wrangler lease specials for incredible savings opportunities. View available Wrangler models for sale in our online inventory or visit our Wrangler dealership today. If you’re looking for detailed information on what each Jeep Wrangler trim level has to offer, check out the 2018 Jeep Wrangler Trim Packages research page in our Jeep model lineup. Our finance experts are here to guide you through the Wrangler leasing or financing process, and to ensure you receive the best deal in the South Haven, MI area. If you have any questions, please give our dealership a call at (877) 589-6292. With its iconic and unmistakable design, the 2019 Jeep Wrangler is sure to turn heads. Its advanced features are bound to impress you and your passengers. View awards and top features below. Named a 2018 ‘Must Test Drive’ Award Winner by Autotrader. Winners were chosen based on wide-ranging criteria including interior comfort, materials, technology features, and ride quality. The 2018 Jeep Wrangler Rubicon 4×4 Four-Door was named the Northwest Automotive Press Association’s top vehicle at its annual Northwest Outdoor Activity Vehicle of the Year competition.